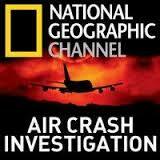 Revealing the dark truth that aviation safety improves one crash at a time, Air Crash Investigation (Mayday) investigates legendary aviation disasters to find out what went wrong and why. Based on cockpit voice recorders, accident reports and eyewitness accounts, every episode also features interviews, state-of-the-art CGI and gripping reenactments. This series takes viewers behind the scenes of Canada’s most spectacular National Parks. Learn the history, explore the diversity and soak in the beauty of some of our planet’s most compelling natural playgrounds. Follow us to the most remote corners of the parks and uncover both the iconic and obscure. See how park authorities sustain several million acres of wilderness for adventure seekers. OASIS HD, the World’s only commercial free nature channel invites you to immerse yourself in the beauty of our country’s most breathtaking parks. From its highest mountains to its deepest oceans, our world has challenged explorers of every generation to reach further and seek what lies beyond the horizon. Now the drive to explore is leading us upward and outward – off our own planet and out in the solar system where a host of alien worlds offers us vast new terrains to uncover. We roam this territory today, not with our material bodies, but with our robot surrogates. The latest missions to the sun and planets are providing images so crisp and spectacular, it is like peering through a window at another world. These increasingly sophisticated and detailed views are shaping our understanding of who we are, where we came from, and where we’re going. To venture behind the stone walls of Quebec’s old city is to become a time traveler with layers of history around every corner. Its architecture reveals a wealth of French, English and North American influences spanning four centuries of building, occupation, and transformation. Through expert interviews, archival images, 3D models, and a tour of the city’s most storied buildings, “Quebec: A City in Layers” explores 400 years of architectural growth, change and mystery. On “Watch This!” viewers can learn more about their favorite programs airing on High Fidelity HDTV’s four premium high-definition channels – Oasis HD, Equator HD, Treasure HD, and Rush HD. With highlight clips from featured programs, the four channel reporters and the host Sonya Buyting explore related stories to give viewers a more in depth understanding of the topic at hand. The history and culture of a community are revealed in their festivals. From the PEI International Shellfish Festival, where locals wait with baited breath to see who will be crowned master oyster shucker, to Toronto’s Caribana, the largest street festival in North America where revelers from the around the world flood the streets in colorful, provocative island-wear to celebrate their ancestry, these festivals tell us about culture, history and heritage. Host Sonya Buyting searches out the soul of the community by telling personal stories within each festival. “Collector Showdown” is a fun, high-drama, information-packed television program dedicated to collectors and their collections set against the backdrop of a friendly showdown between two like-minded collectors. In each episode two contestants of a certain collector genre – be it vintage records, comic books, or Barbie dolls – face off in a friendly battle of knowledge and skill for the ultimate prize, either an experience of a lifetime and or a coveted take-home addition to their collection. Who is the true know-it-all of the two? Who is truly worthy of winning the coveted prize? The stakes are high because the prize will fulfill a wish they only dared to dream about… and they don’t know what that prize is until they win…or lose. “Daily Planet” is the world’s first nightly prime-time science magazine show. From the lab to the living room, this show brings the world of science not only to Canada, but also to millions of viewers worldwide. Formerly “@discovery.ca”, Discovery Channel Canada’s flagship show explores the latest science behind the headlines and the coolest scientific developments that impact our lives in every way.